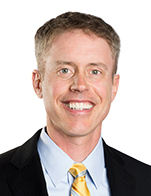 Kevin Baum, Chief Investment Officer, brings over 20 years of experience as a Senior Commodities Portfolio Manager. Kevin is responsible for expanding USCF's product line andoverseeing the company's investment policies and portfolio management team. Prior to joining USCF, he was Senior Portfolio Manager of Alternatives and Commodities for Invesco PowerShares. Kevin was part of the OppenheimerFunds team responsible for launching the first commodities mutual fund and subsequently incorporated the first off-shore Cayman subsidiary for a commodities fund. Kevin also served as Senior Portfolio Manager, Head of Commodities and earned the Barron's/Value Line "Top 100 Managers" designation three times. Kevin is a CFA charterholder and CAIA charterholder. He earned a Bachelor of Business Administration degree in Finance, from Texas Tech University.